This week, Share The Warmth got were interviewed and got some air time on Spash FM. 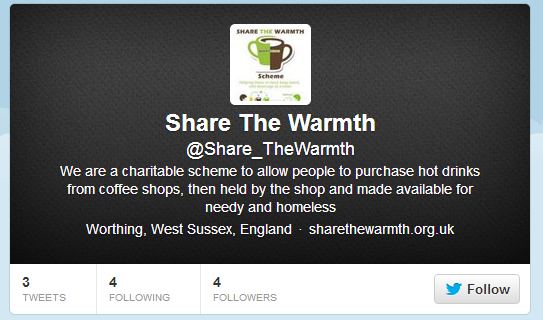 Dinkyccino are now part of the Share the Warmth scheme!! 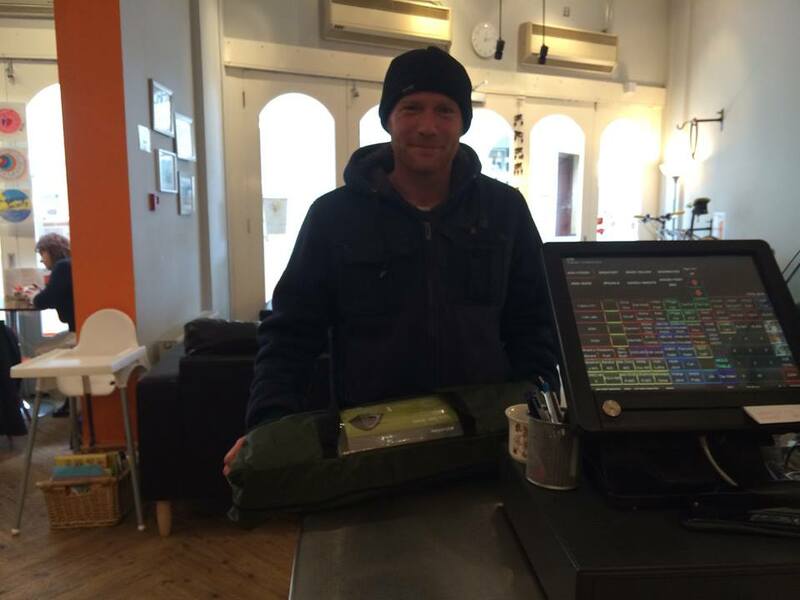 Their customers have been generously donating which has allowed Dinkyccino to provide a couple of hot drinks to homless people. 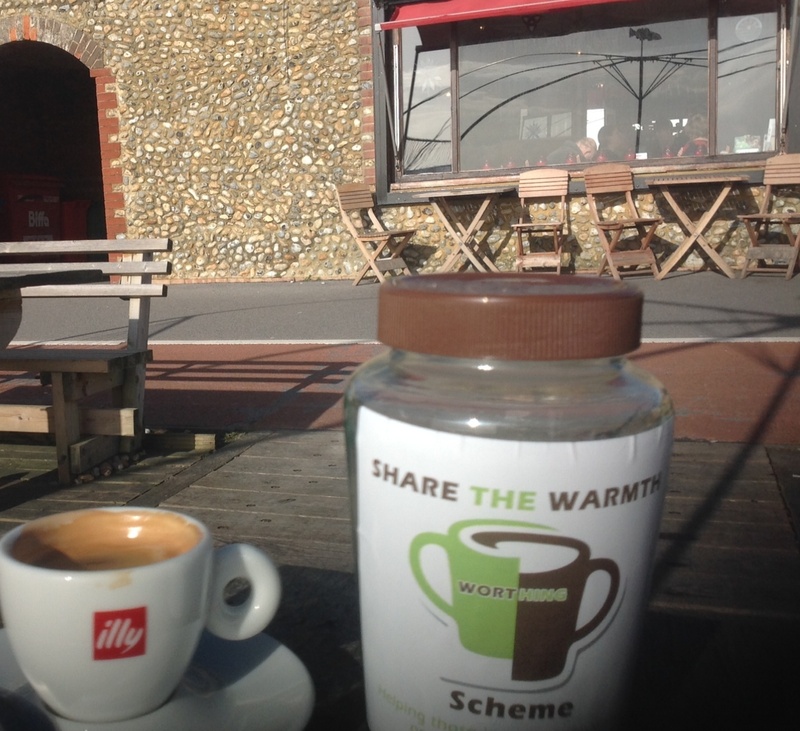 Marbles have started appearing in the Share the Warmth jars in cafes around town. Congratulations everyone, another milestone reached of 400 Likes!! All of this in just a couple of weeks, we are so grateful to everyone who is getting behind this scheme. Watch out 500 Likes, here we come!!! Are you a genius with digital design? Can you help us and create an infographic for us to help explain the concept of our scheme? All we ask is that it fits in with the current colour scheme and clearly and visually provides an explanation. Share the Warmth launched by Deputy Mayor Vic Walker and cool mayor Bob Smitherman at Mad Hatters Tea Parlour. Cards made to distribute to the homeless. The first batch of cards has been made to distribute to the homeless via shelters, soup kitchens and the homeless charities. In just 12 days, we have reached the 300 Likes milestone on Facebook, that is just fantastic!! Today, we created our Facebook page, exciting times ahead. Today was the day that we purchased the domain name for the website. The first week has just passed and the first 10 cafes have signed up to the scheme and more interested too.